"Field abuse" is a project from Italian sound artist Claudio Curciotti and photographer Eleonora Trani where they document visually and sonically the loudness of the contemporary world in relation with religion, ethnic music and traditional cultures. 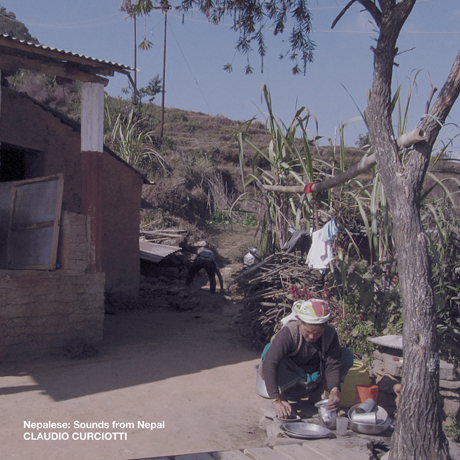 'Nepalese: Sounds from Nepal' is a selection from the many many recordings Claudio captured during his trip to Nepal that greatly display the beautiful sonorities of this young country with an ancient cultural legacy and spiritual and religious tradition. The recordings are complemented with a series of photographs by Claudio and Eleonora that provide visual cues to the beautiful sounds captured here. Phonographic works like 'Nepalese: Sounds from Nepal' are always an amazing experience that literally recreates a journey through many places with different sonorities as it establishes a relation in real time between the listener and a passed moment in time that will never repeat itself. This is the first publication of this kind by IH, where sound acquires a meaning beyond a mere imaginary, as it serves a window between our lives and the lives of other people and the sounds that define their everyday life.